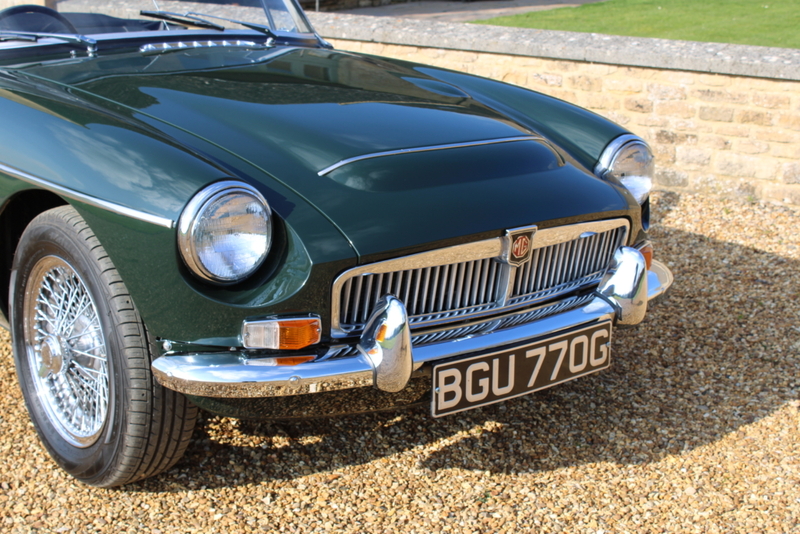 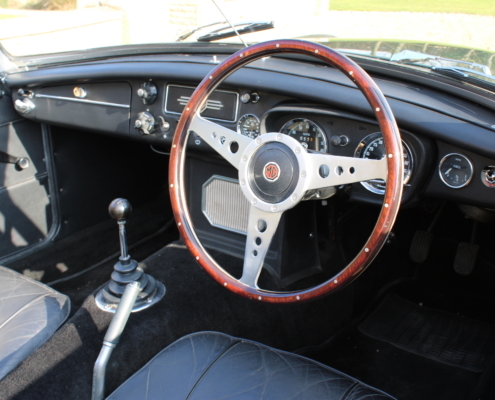 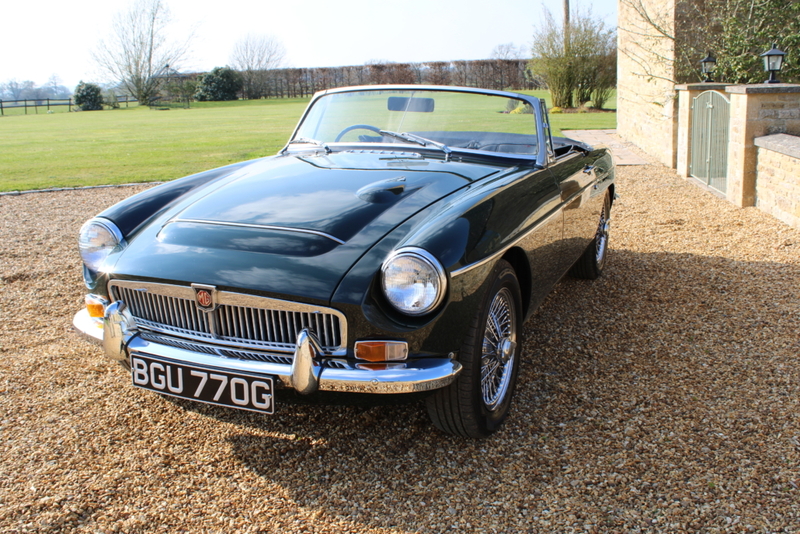 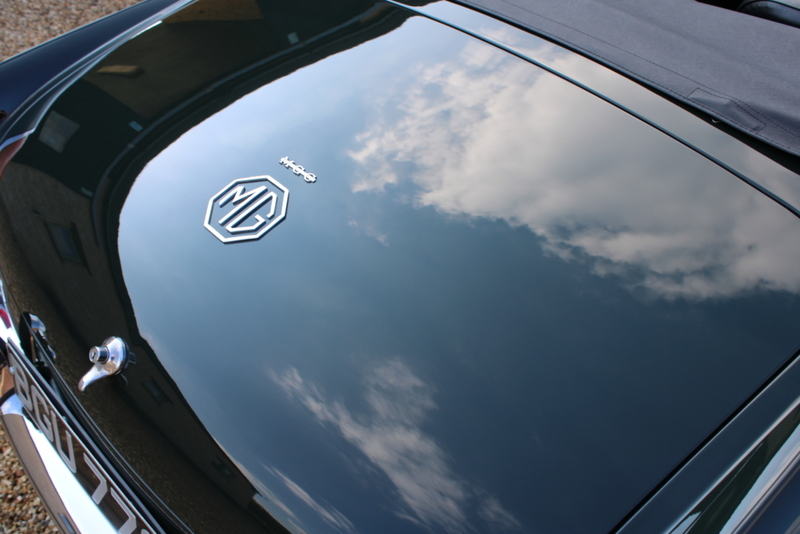 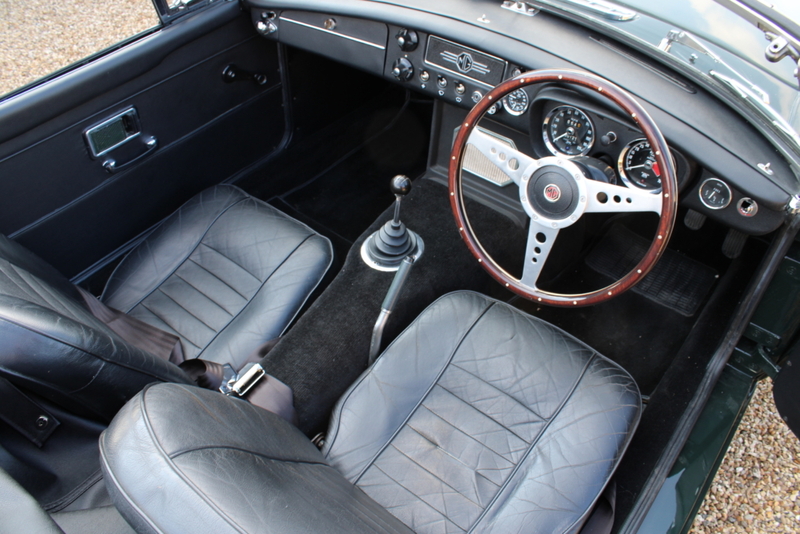 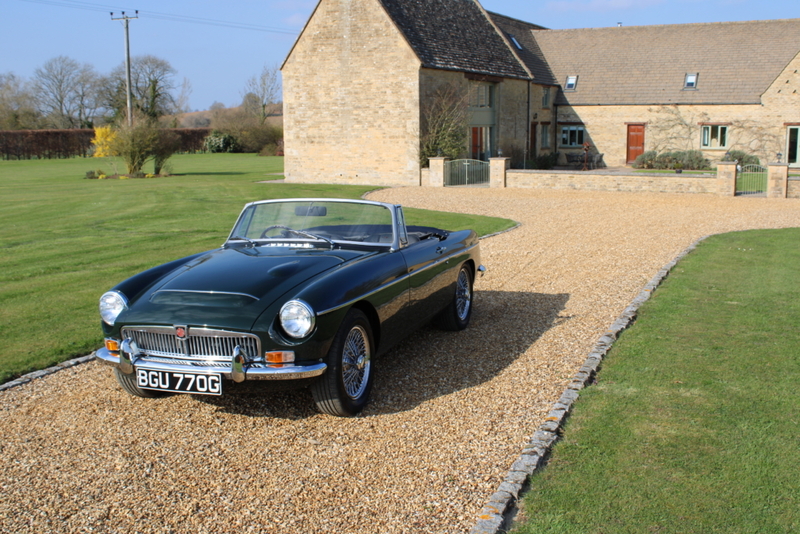 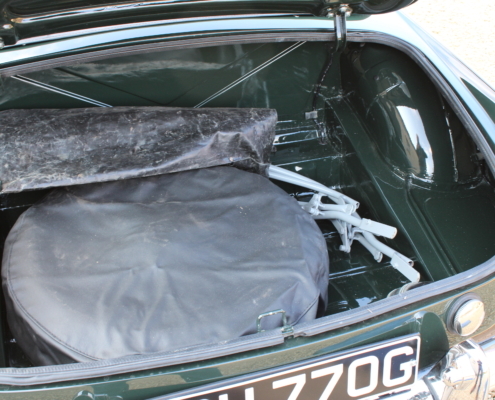 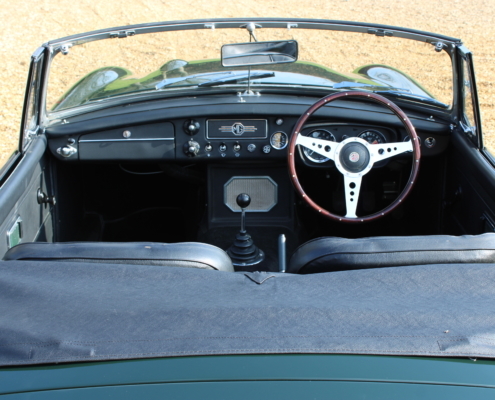 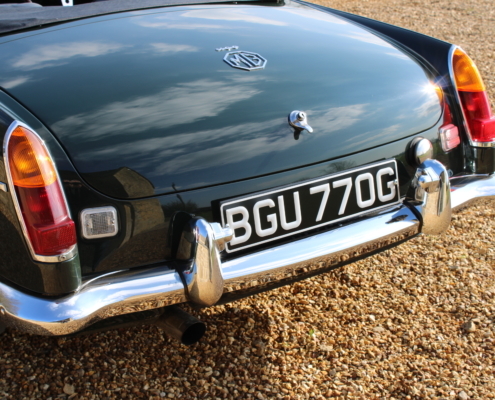 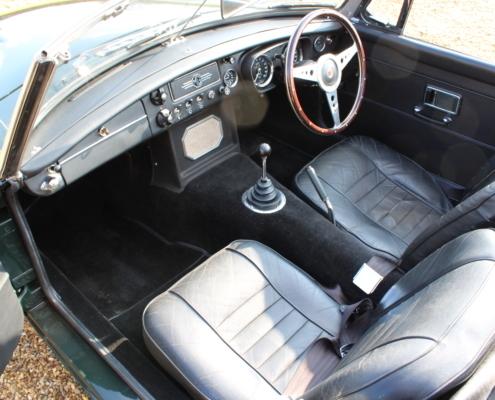 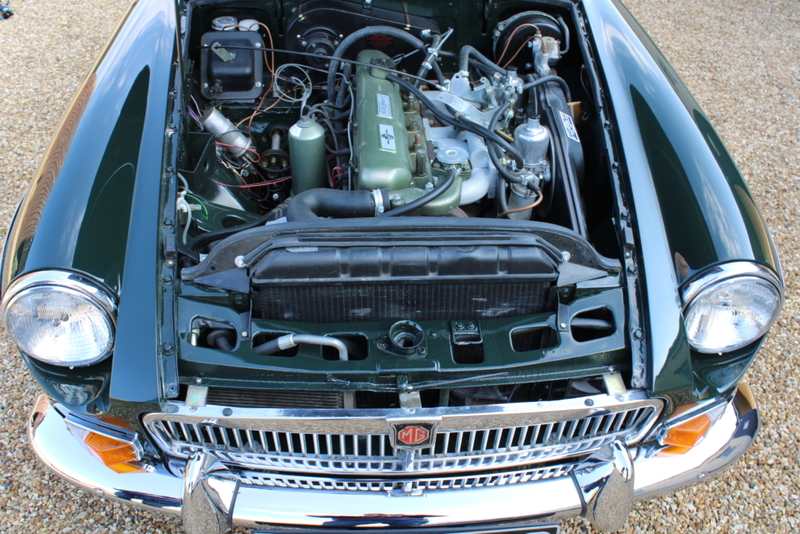 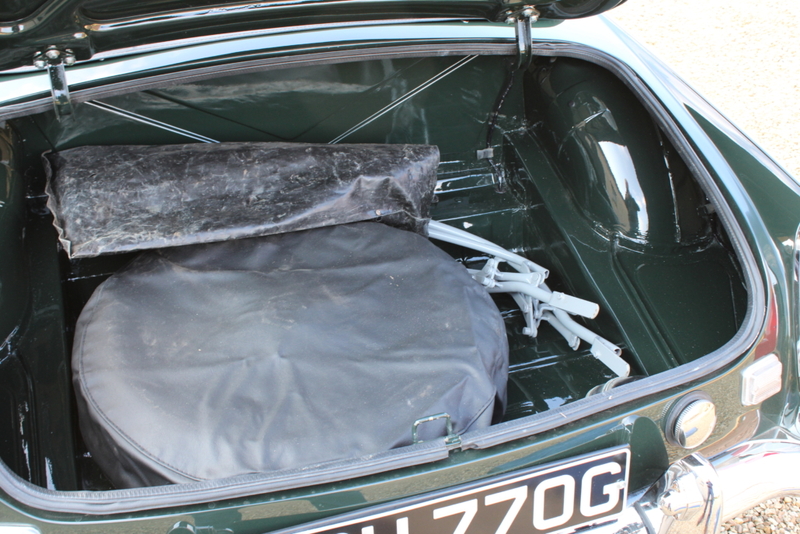 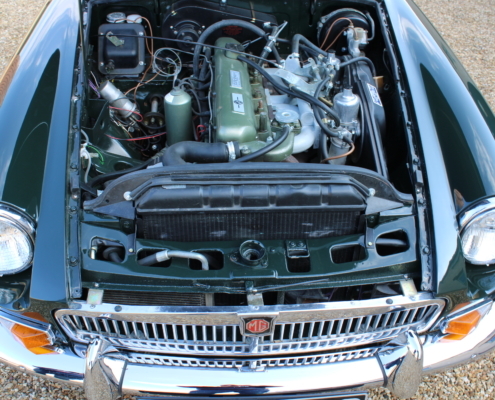 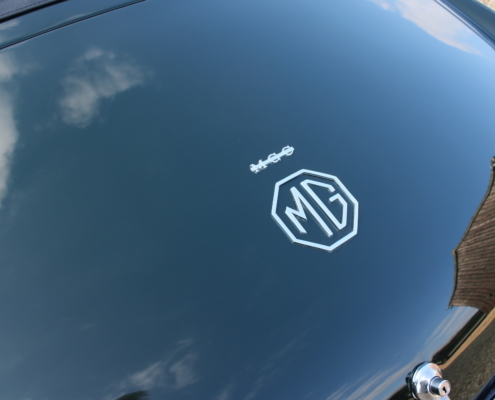 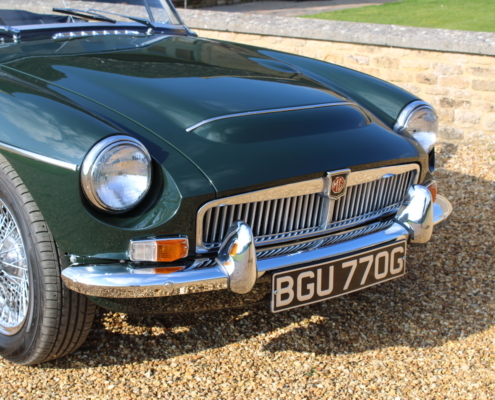 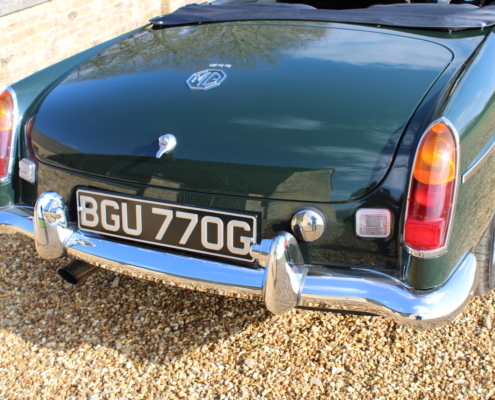 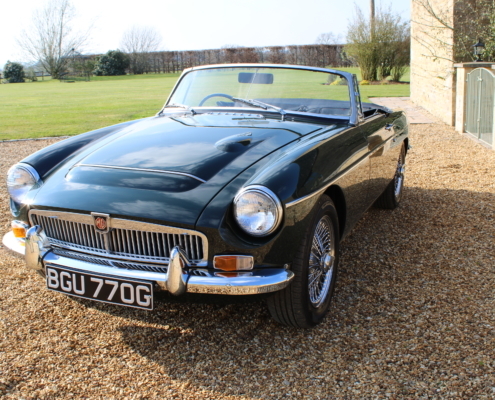 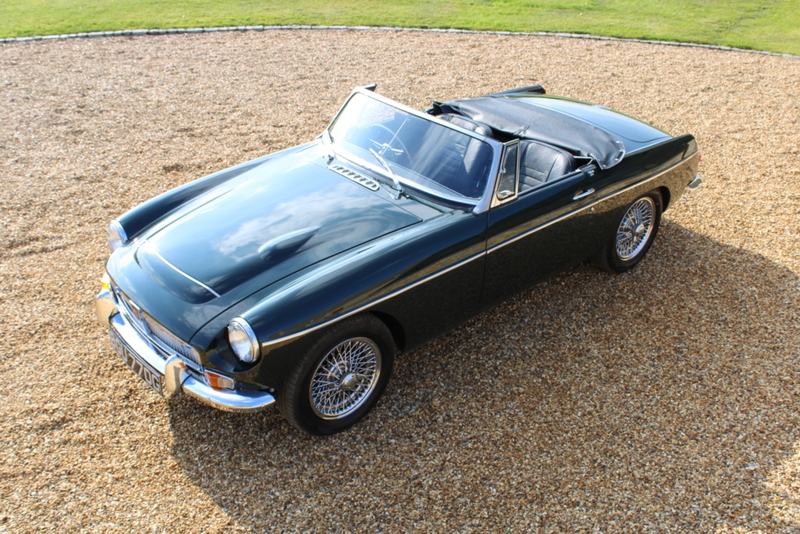 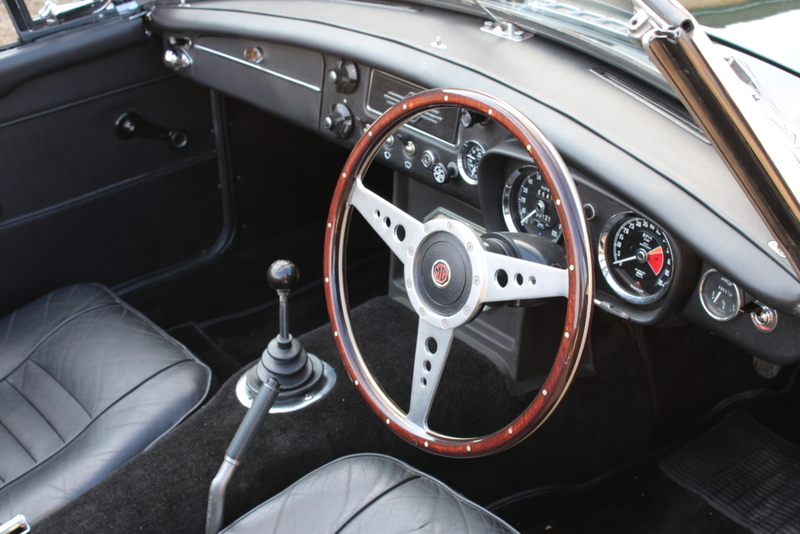 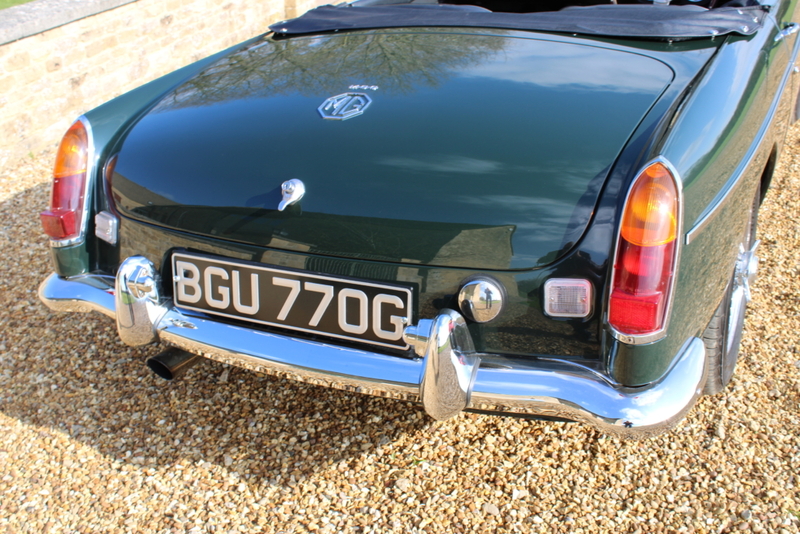 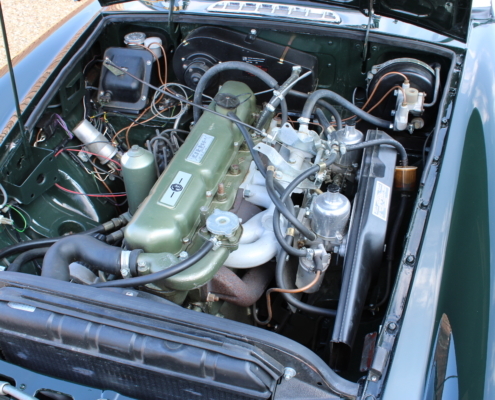 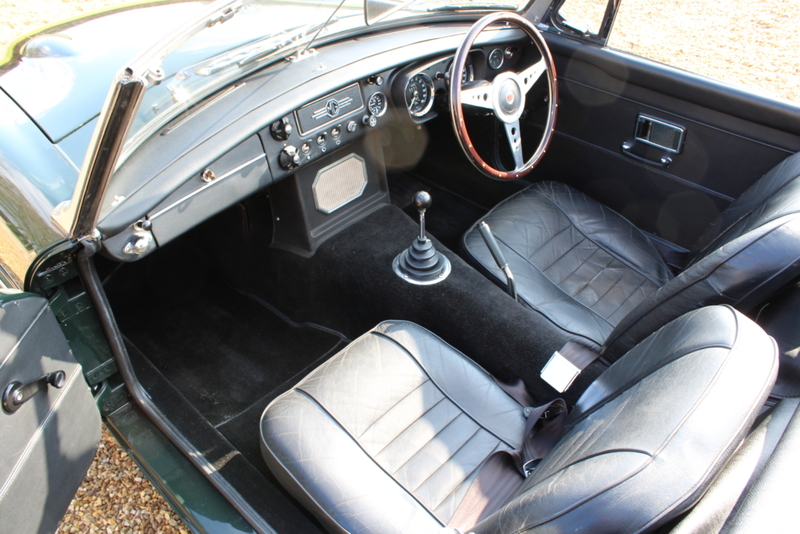 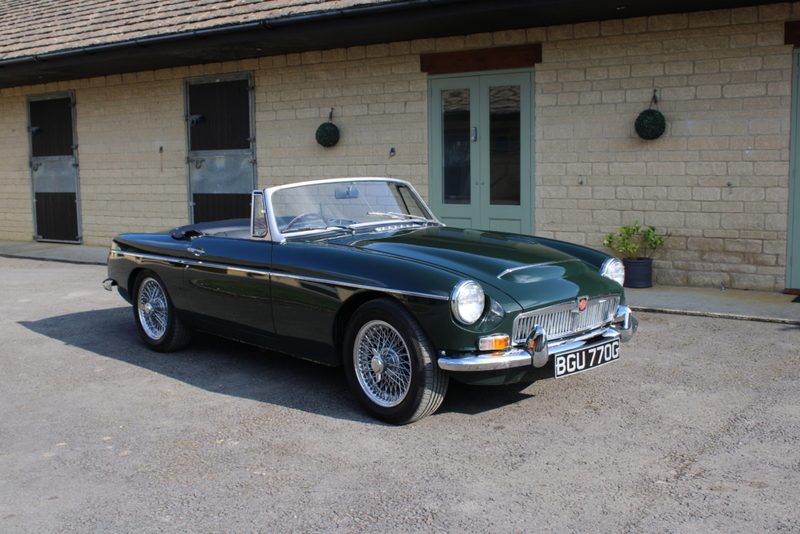 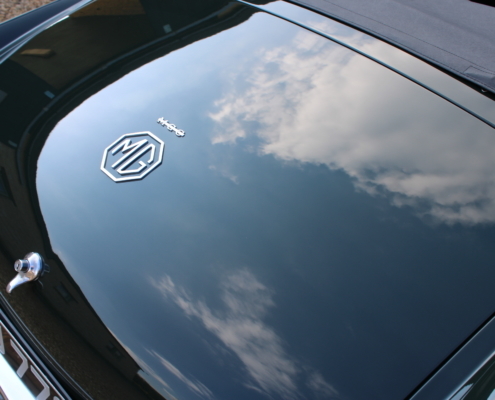 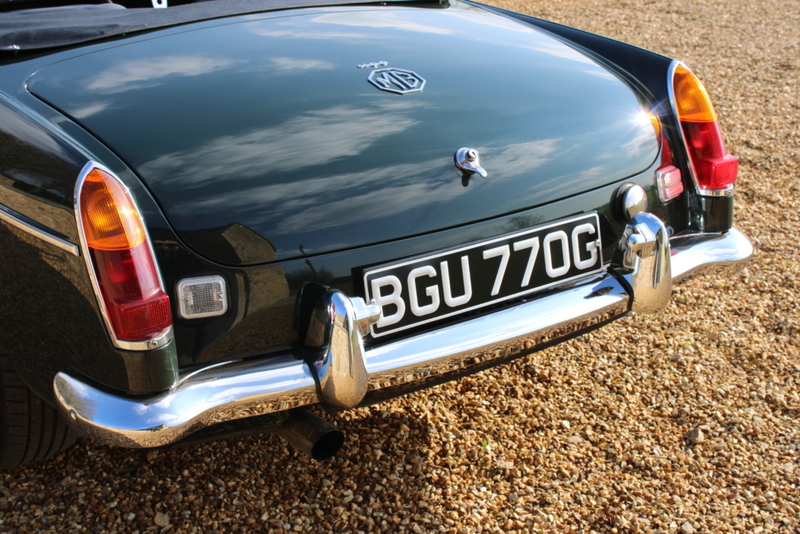 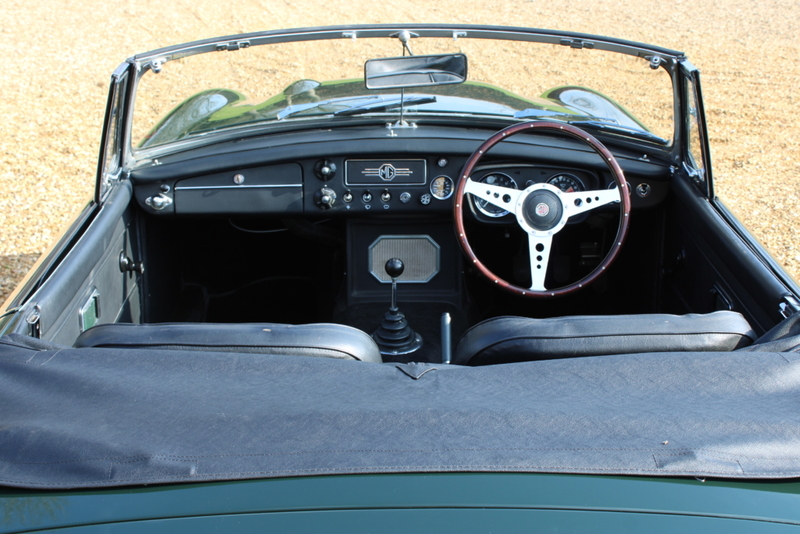 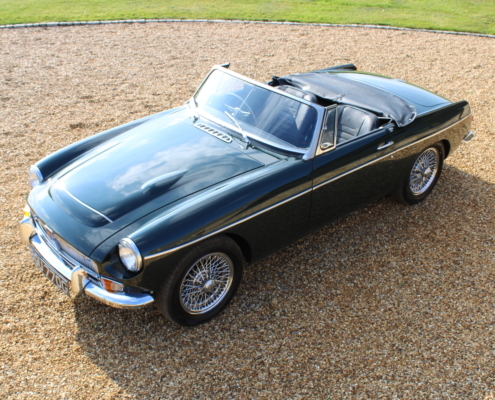 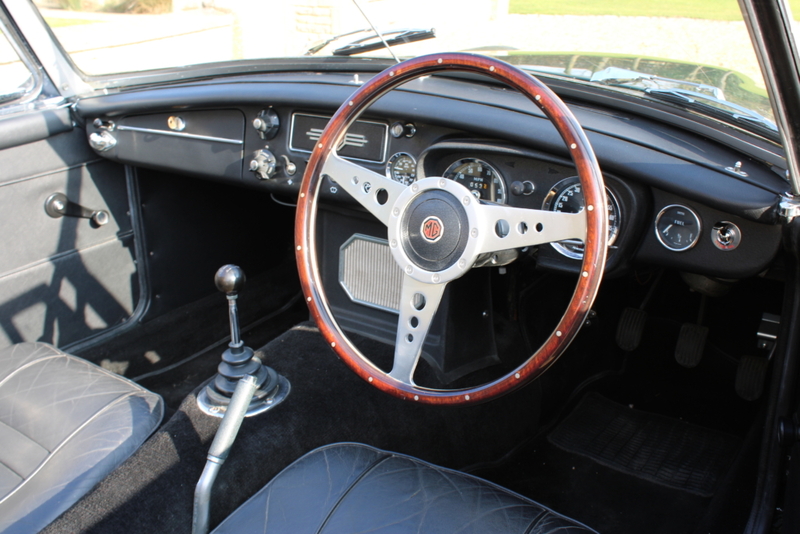 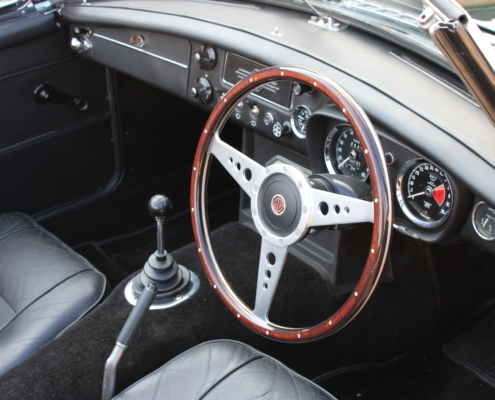 By the late sixties, it was clear that MG had a great car with the MG B but many owners were requesting more power and by 1967 the MG C was conceived and muted to be the replacement for the historic Healey 3000! 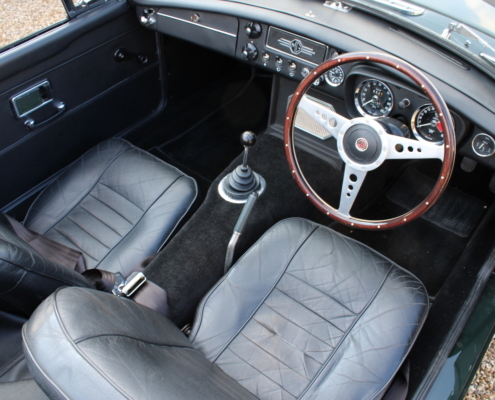 However, the press and indeed customers were not impressed with early reports of a heavy front end provoking understeer and this did irrevocable damage to the car’s desirability and after only two years in production, the project was killed off. 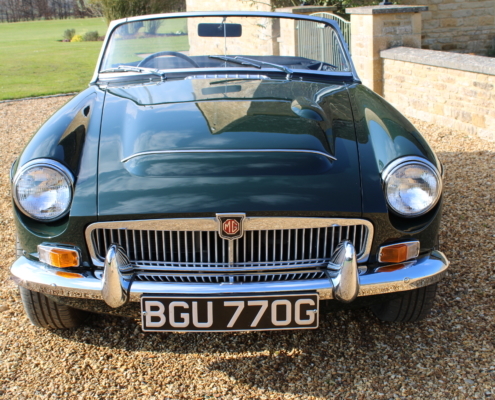 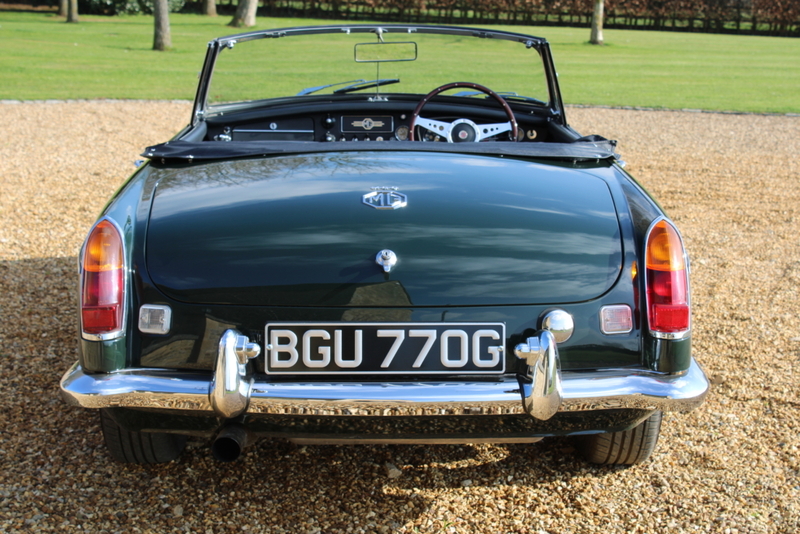 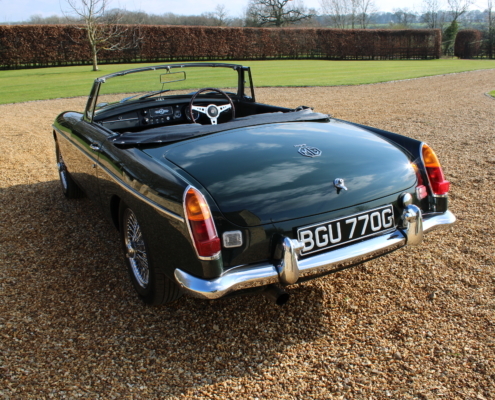 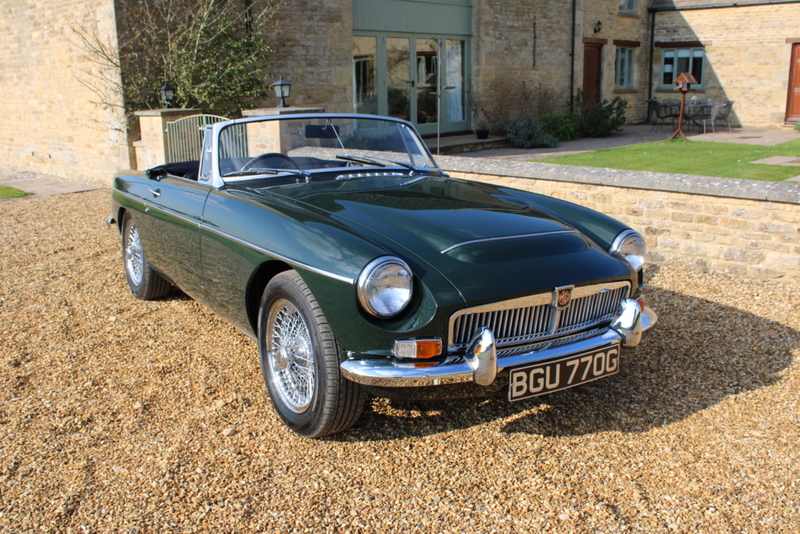 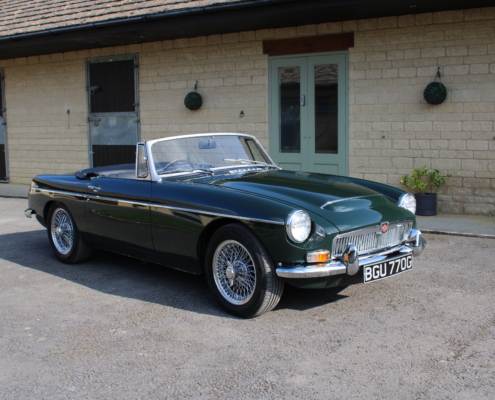 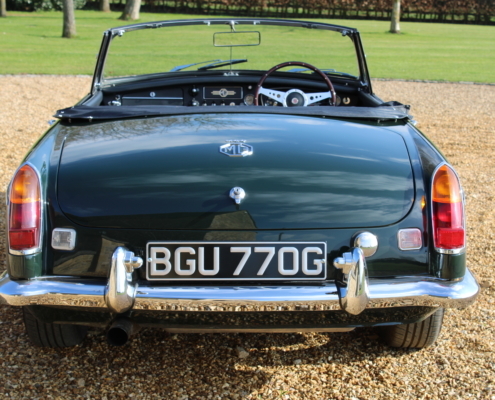 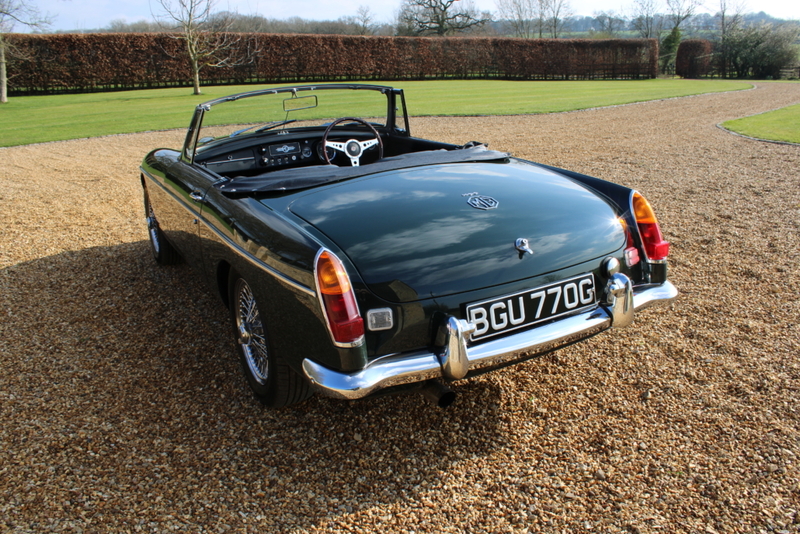 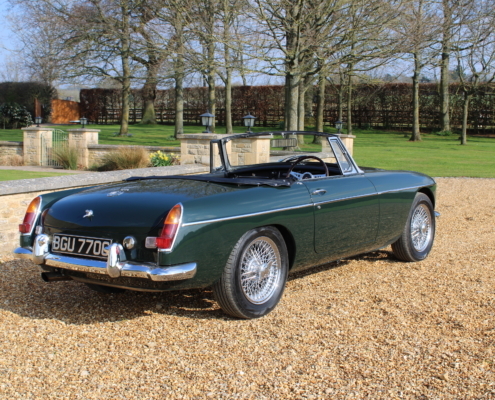 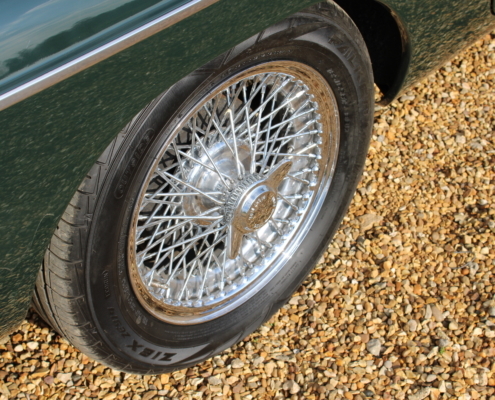 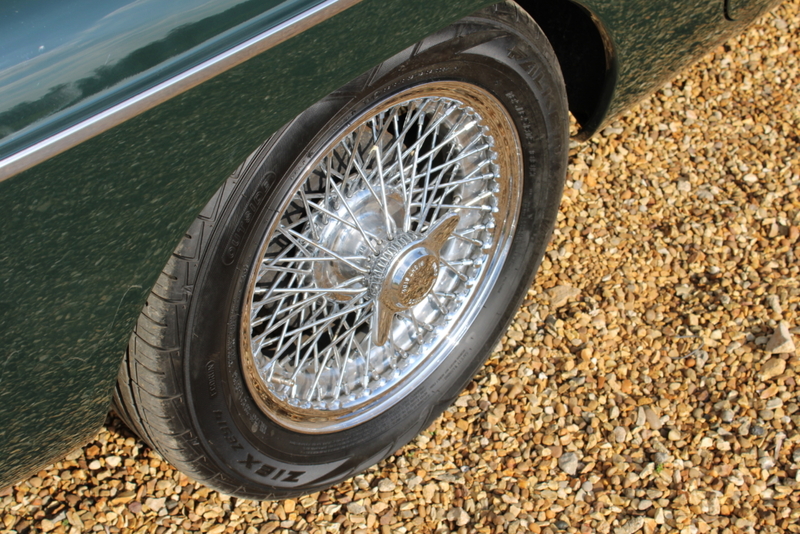 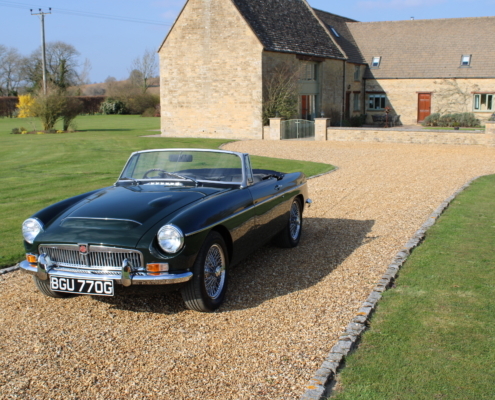 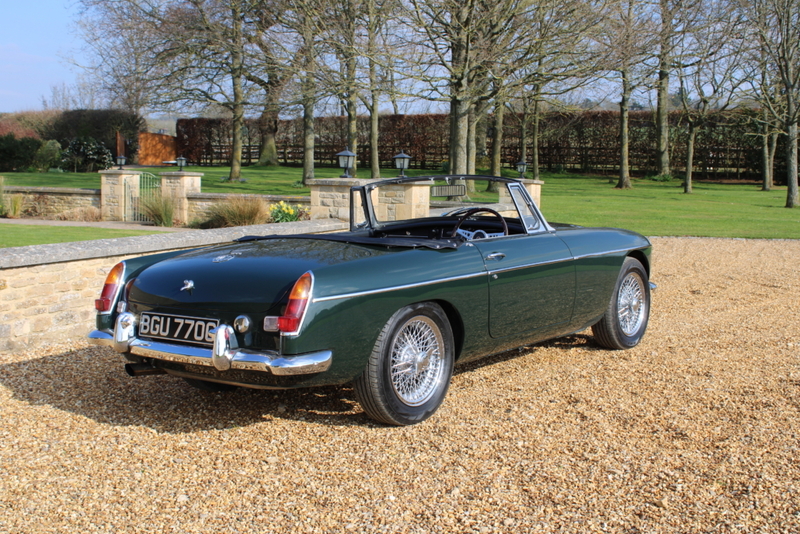 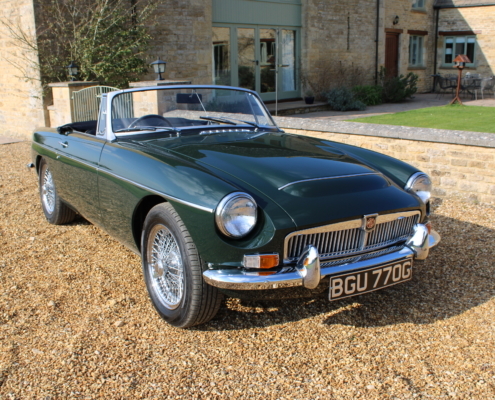 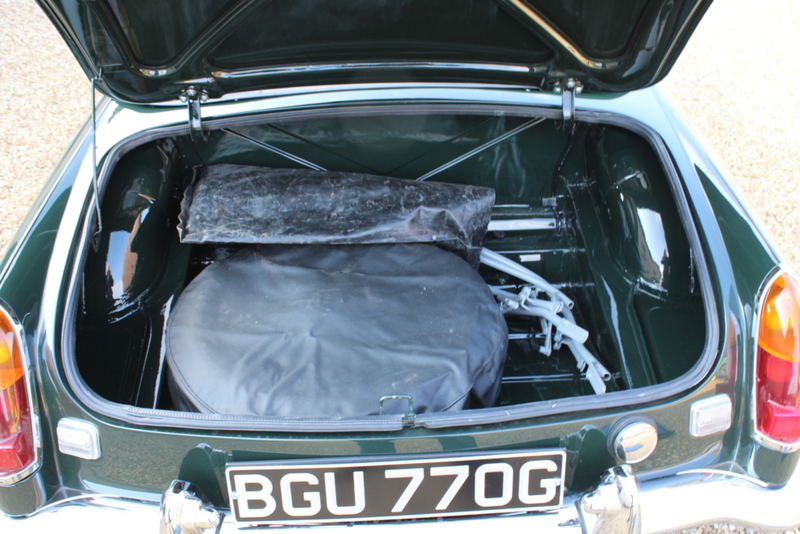 So today with only 4000 roadsters built the MG C has become a sought after rarity and with modernly designed tyres and mild tweaking of the suspension they now drive as they should have in the sixties. 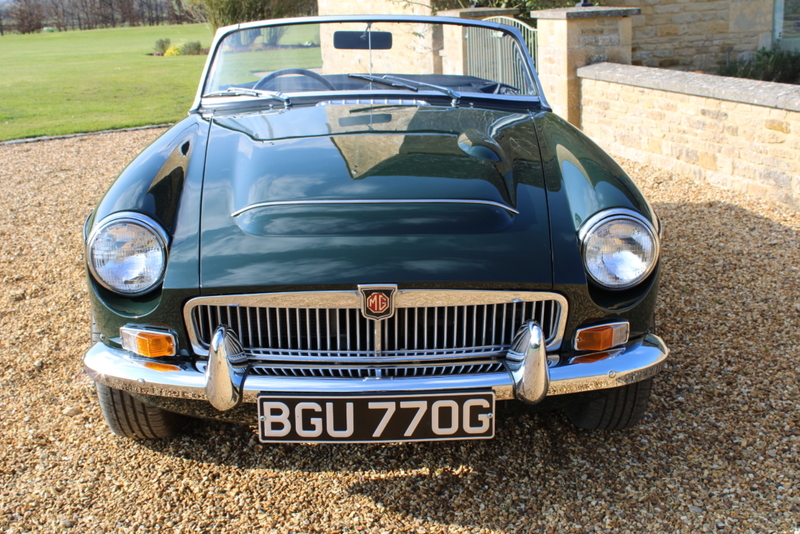 This is a grand touring car and the six-cylinder engine really transforms the MG into a super useable cruiser and with the overdrive, long trips are a delight. 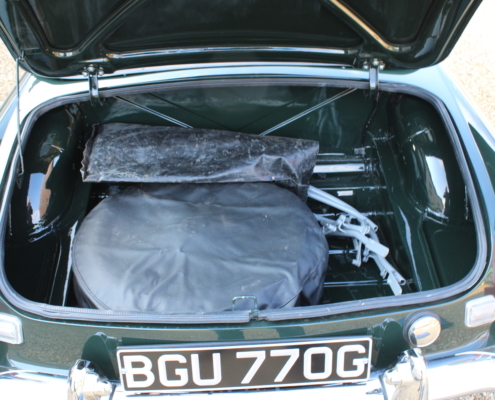 There is a large history file with invoices, correspondence, photos etc and she is the best I have seen for some time. 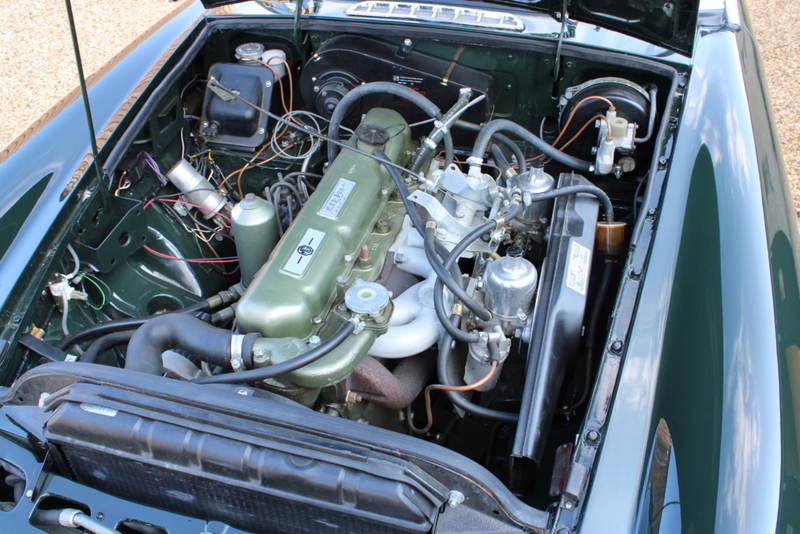 Extensive mechanical work was also carried out inc gearbox overhaul, engine rebuilt and then balanced and tuned, suspension and brakes etc. 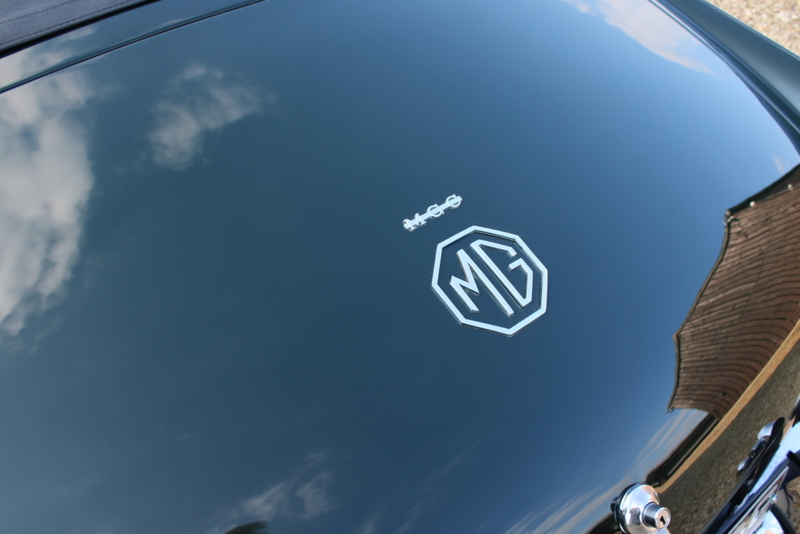 With the rarity factor, it will not be long for these value for money cars to greatly increase value in line with other brands.